The trailer housing La Moreliana has a lot of history to it. It started it’s life as a mobile food trailer in Florida. Then the owners of the El Arepazo restaurants purchased it to be an extension of their restaurant. 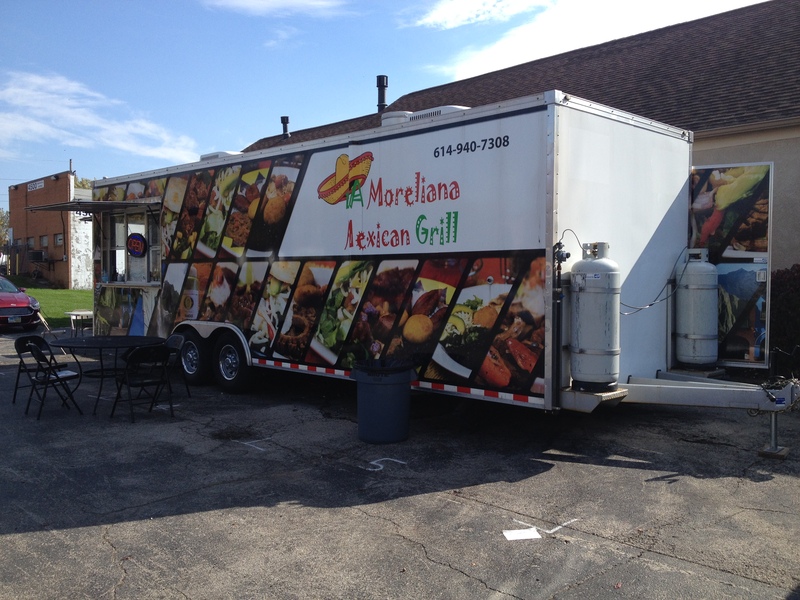 It had a good run in Clintonville at several locations including the present location of La Moreliana. 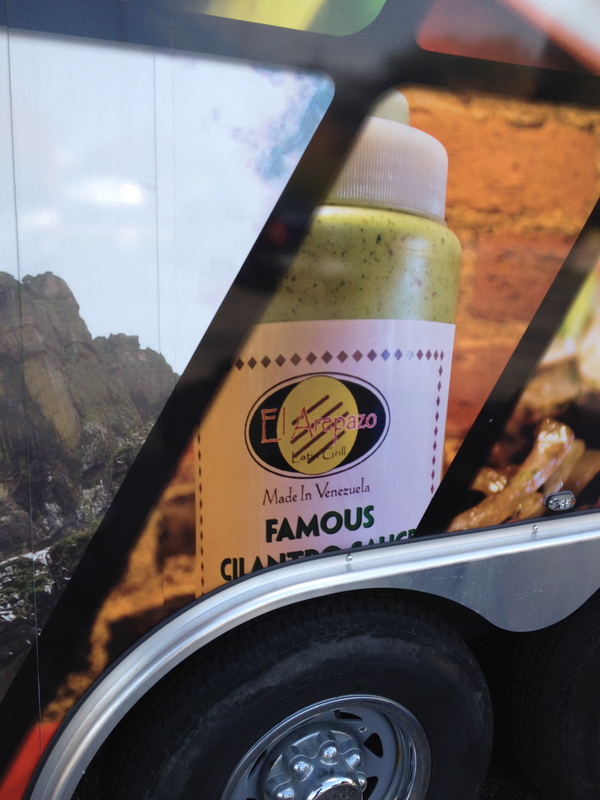 In fact, since the exterior of the trailer has not significantly changed from its previous life as Yerba Buena, many people thought it was the Yerba Buena owners making another run at mobile food. (You can see on the photo below that the wrap still has sections that might make people think it is still Yerba Buena / El Arepazo). 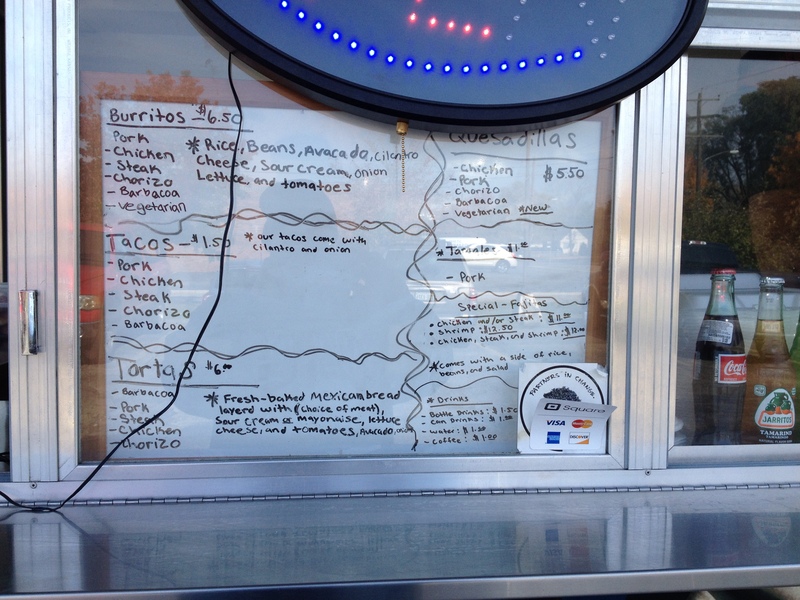 The menu here is very bare bones: burritos, tacos, tortas and quesadillas. Tamale’s appear on the weekends fairly often. The Taco Trucker has dropped by three times and found the fare to be very basic with nothing really standing out from the rest of the menu. The family is friendly and their young daughter usually works the order window in the evenings.